As of January 2015, Geobells is no longer under active development and support. Due to changes in Google APIs, some features may not function correctly. 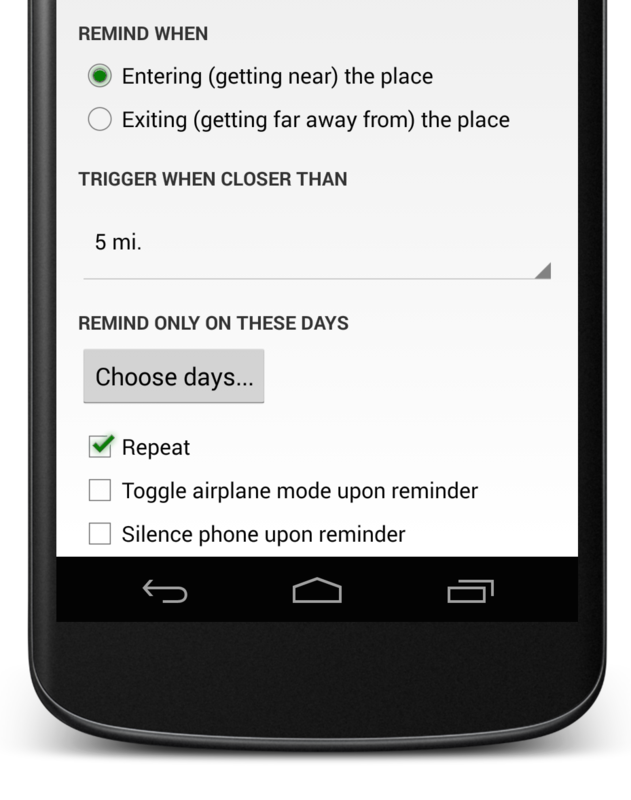 Set reminders for when you enter or exit a geographic location. Create a reminder in a couple taps using a functional, beautiful interface. 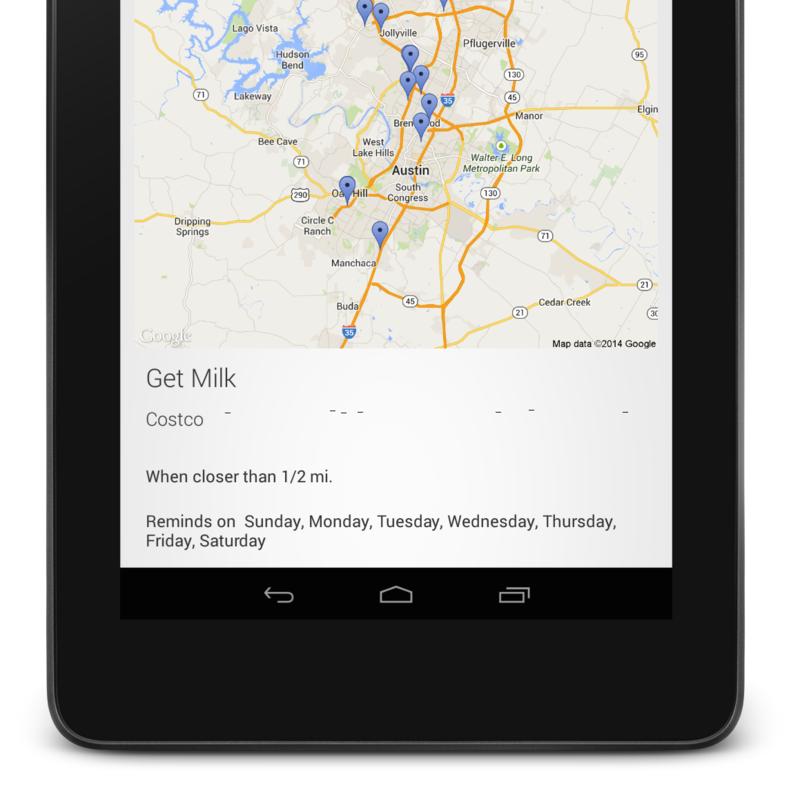 Set reminders for a type of place instead of just an address. 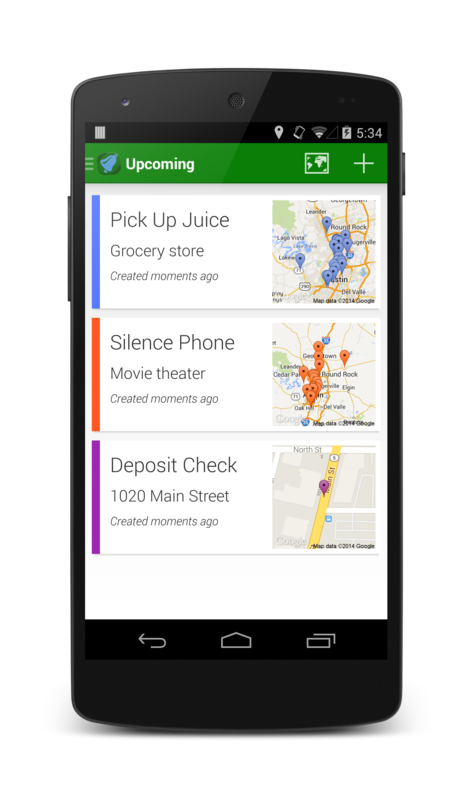 Intuitively view your reminders on a map. Swipe to set a reminder as completed. 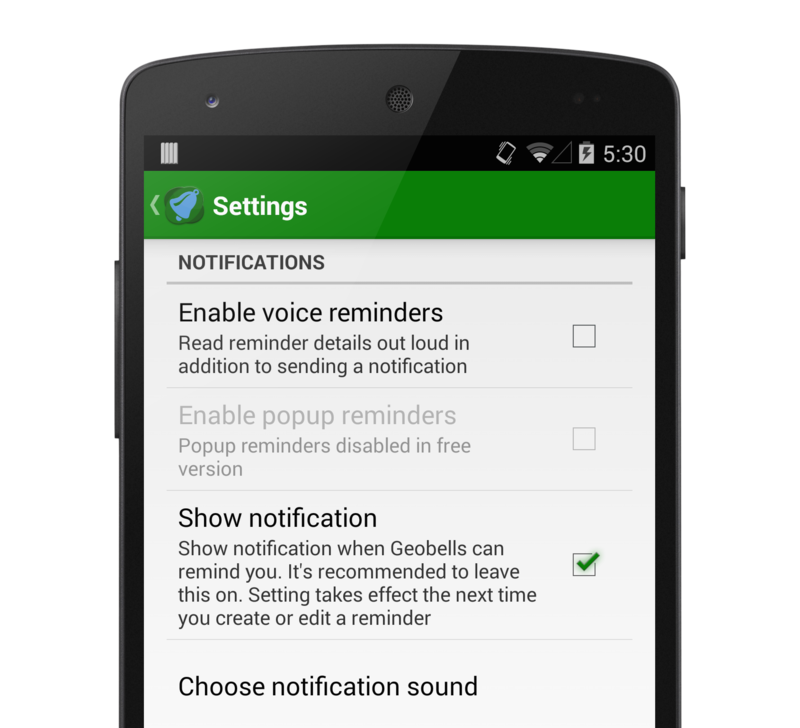 Enable voice reminders and be read the details of the reminder, or switch on popup notifications to receive a clear visual heads-up. Go beyond the simple text notification. Remind yourself to take out the trash when you leave the house. Bring up your shopping list at the grocery store. Or automatically silence your phone at the movie theater. Copyright © Neil Patil. All Rights Reserved.